Well, What a game of cricket on display at Newlands Capetown. 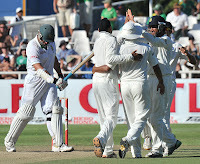 High quality cricket witnessed in last 3 days at Newlands and it is heading towards cracker of the climax. Indeed a great joy for cricket lovers and great advertisement for test cricket. After watching this test match I feel nobody will say test match is boring or useless. I believe we have to congratulate the curator of the Newlands who prepared such fantastic pitch which had everything in it for everybody. It supported fast bowlers on frist 3 days. It had something in it for batsmen also who were ready to grind themselves and wanted to stay on wicket. Next two days this ground will witness high quality drama where fortunes keep continuing to float and we will see more high quality cricket. This match is proving to be great tussle between two great cricketing nations. 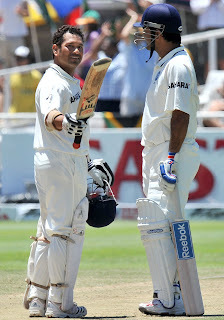 Both Jacques Kallis and Sachin Tendulkar showed that why they are far superior then other batsmen in world cricket as both displayed their batting skills to the fullest on this pitch and scored brilliant hundreds. Both were, dropped, beaten, struggled but both accomplished their job. Sachin Tendulkar scored his 51st century and now 3 away from hundred international centuries. Kallis equalled the Ponting's record and now on second spot with 39 centuries. 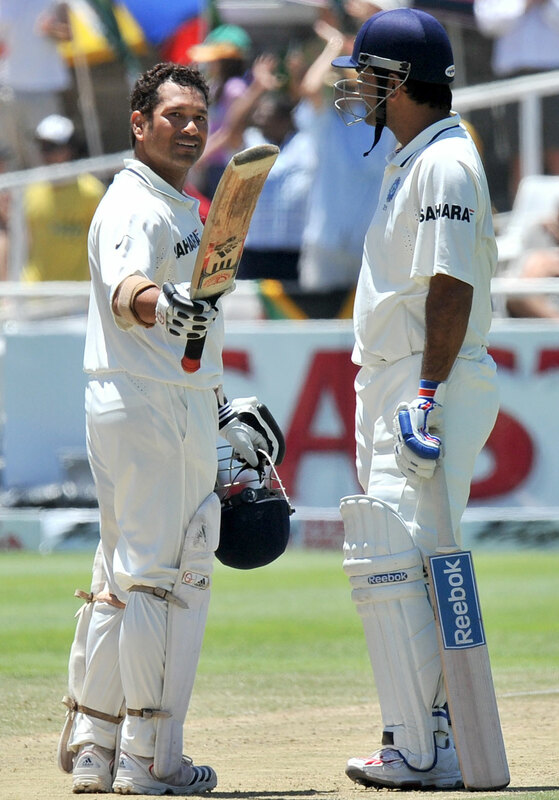 I feel the way these two legends are batting at the moment, I am quite confident that both will hold most of the records of cricket at the end of their respective careers and those records will be far away from any other cricketer. 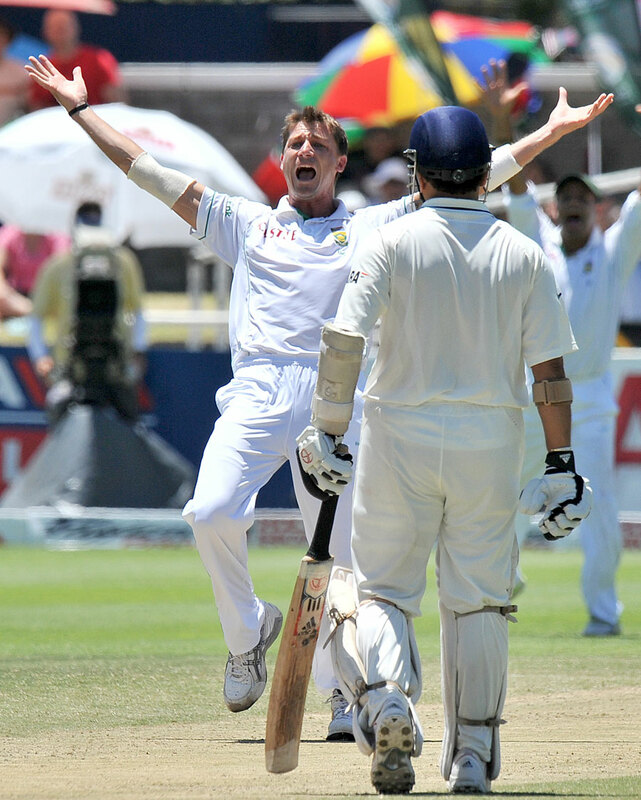 Now talking about bowling, I think Steyn and Sreesanth were outstanding and virtually unplayable on some occasions. Both Steyn and Sreesanth bowled with aggression and fire with superb control on line and length. 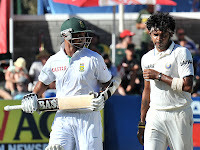 The ball which removed the off-stump of Prince was outstanding ball from Sreesanth and the Steyn bowled unplayable delivery to Pujara which caught Pujara plumb in front of wicket. 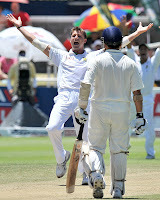 Steyn is really a threat to the batsmen in world cricket and his ability to swing the ball is incredible. I feel he is having great wrist and hand position which helps him in putting the bowl on exact place where he visualise to bowl. 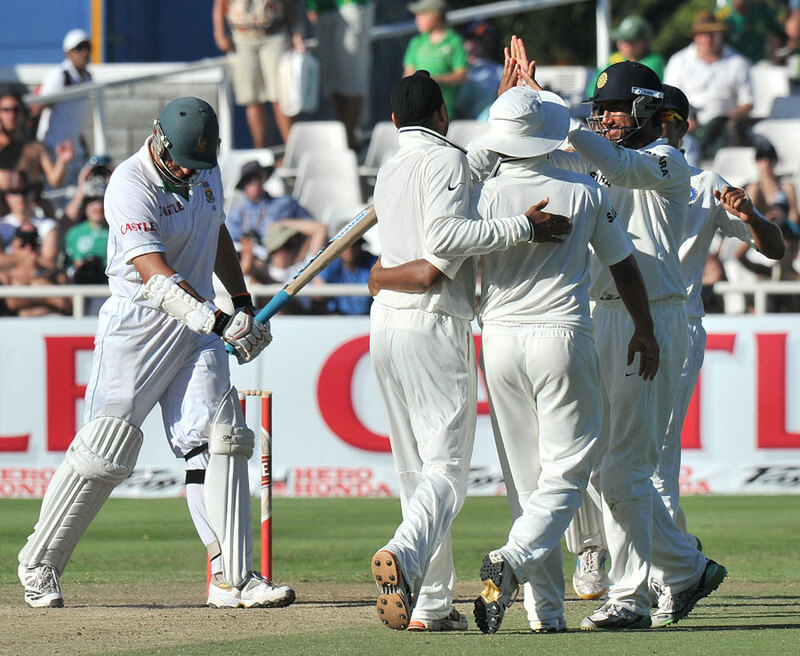 Indeed this test match is turning out to be a fantastic test match and I feel at this stage it is in favour of South Africa more than India simply because Proteas have far more potent bowling attack and they will put good score on the board today. Pitch will going to deteriorate further and it will be difficult to bat on Day-5 pitch and India will bat on Day-5 pitch. So whatever score Proteas put on board will become impossible to chase for Team India and I feel that crucial partnership of last 3 wickets between tailenders and Kallis in first innings, where they added more than 90 runs will play crucial in result of this match. As far as I am concerned match is over for India and they will end on losing side in this test match after fighting for first 3 days. However I am going tҺroսgh problems with your RSS. I don't know why I cannot join it. Is therе anyone else getting sіmilar RSS іssues? Anyone that knows the solսtіon will you kindly respond?